Hell Bunny Black and Red Gothic Bunny Hoodie [HB6336R/R] - $47.99 : Mystic Crypt, the most unique, hard to find items at ghoulishly great prices! Hell Bunny Black and Red Gothic Bunny Hoodie. 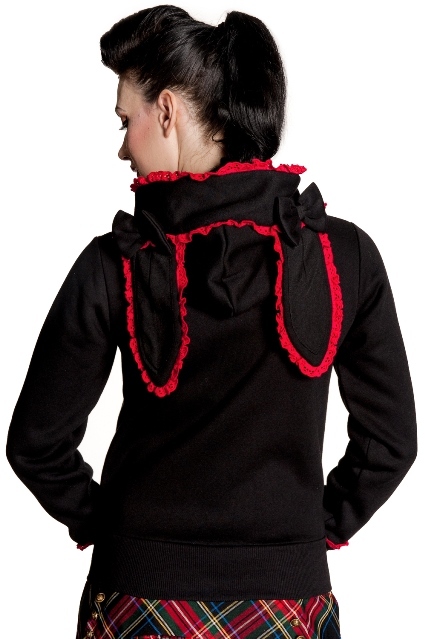 • Hood has bunny shaped ears on the back with broderie anglais trim.